Charting and Technical Analysis is a ‘must have’ for every investor and trader. Whether you invest or trade in Stocks, Options, Forex, or even Mutual Funds, it is imperative to know AND understand price and market movements that can only be learned from Technical Analysis. You Should NEVER attempt Trading or Investing without it. And NEVER depend upon a Financial Advisor to make your decisions. They are salespeople and they make money whether you do or not. 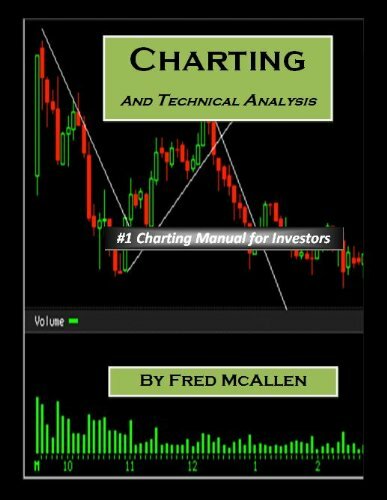 It is IN-DEPTH, EXPLAINED, and you WILL learn price movements and technical analysis and how to apply that knowledge to individual stocks and the overall market as well. You will understand and recognize tops and bottoms in the market and in particular stocks. Entry and exit points. You will understand ‘who’ is buying and selling, and when. This is highly valuable information, and you should NEVER attempt to trade or invest without this knowledge!